The District 3 seat on Denton City Council, which covers parts of the Argyle, Denton, Krum and Ponder precincts, is represented by incumbent Councilman Don Duff, 79, who has held the position since 2017. Duff, who won his district in 2017 with 42.99 percent of the vote in a three-way race, has confirmed he will not seek re-election and declined to comment to the Daily about specific reasons for not pursuing re-election. 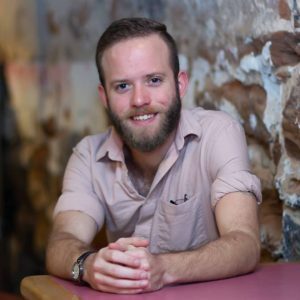 Matt Farmer, 25, announced his candidacy in December and launched his campaign at an event held late last month at J&J’s Pizza on the Denton Square. In his campaign launch address, Farmer spoke on the need for strengthening tenant rights, the importance of sustainable infrastructure and affordable housing as Denton’s growth continues. At the launch, former Texas 393rd District Court candidate Evan Stone, an intellectual property attorney in Denton and member of the Texas Tenant’s Union, spoke about why he believes Farmer is the right choice for District 3. 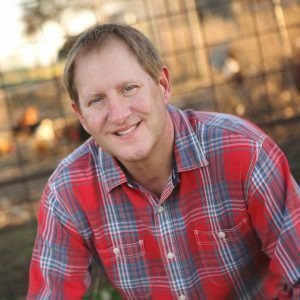 Farmer, a former democratic candidate for Texas House District 64 – currently held by State Representative Lynn Stucky – said his new campaign for city council feels much better. Farmer withdrew his candidacy in early 2018 after revealing there were “personal issues” occurring in his life, which he said left him unable to dedicate the needed time and resources his campaign required. UNT alumnus Chandler Dunn, 24, said he attended the launch to learn more about Farmer’s campaign and what it would mean for the city. Information on Farmer’s campaign and upcoming events can be found on his Facebook page Matt Farmer For Denton. 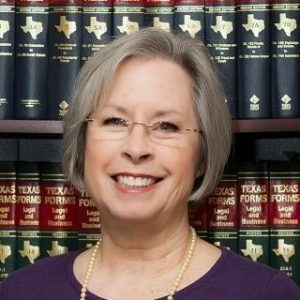 Denton paralegal Diana Leggett, 65, announced her intention to run for District 3 in December. Leggett is also the founder of WildRescue, Inc./Rescued Rabbits and was the 2018 Democratic candidate for Denton County Commissioners Court, running in the general election in November against Republican challenger Andy Eads, who won. Leggett, whose margin of victory was greater in urban areas of Denton County, won five of 12 precincts in District 3 – 4000, 4005, 4007, 4039, 4045 – with an average of 74.9 percent of total votes. In District 3 precincts which Leggett lost in the general election – 4001, 4002, 4003, 4003, 4038, 4042 and 4044 – she averaged only 23.29 percent of the vote. As a candidate for city council, Leggett said her decision to run was based off why she ran for County Judge, which was to preserve Denton’s green spaces. Leggett’s campaign platform also calls for strengthening tenant rights, improving city infrastructure and safety and increasing engagement within the community. To increase engagement between city council members and constituents, Leggett said she – if elected – would want to include neighborhood meetings on a monthly basis. Discussing tenant rights – where 53 percent of Denton residents are renters – Leggett proposed bringing housing standard ordinances up to par with the city of Dallas. To do this, Leggett said she is advocating that all rentable units should have access to both heating and air conditioning. Texas law does not require landlords to provide either air conditioning units or central air systems in rental properties or apartments. “Dallas passed their ordinance [in 2016] that said all rentable units have to have heat and air accordingly,” Leggett said. Housing ordinances for the city of Dallas requires property owners to maintain both heating and air with ability to maintain temperatures. For air conditioning, landlords must provide units capable of temperatures of at least 15 degrees cooler than outside. For heating, Dallas requires landlords to provide units capable of at least 15 degrees warmer than outside, but not lower than 68 degrees in each habitable room. Regarding improving city infrastructure and public safety, one of Leggett’s biggest concerns is the safety of cyclists on Denton’s roads. The City of Denton currently has a safe-passing ordinance for cyclists, whom are considered vehicles when on the road way. Under the city’s ordinance, residents are required to either change lanes or provide a safe passing distance – three feet for cars, six feet for trucks – when passing vulnerable roadway users, such as pedestrians and bicyclists. To address safety concerns for cyclists, Leggett proposed the city could build a flyover in high traffic areas to reduce congestion and increase safety. 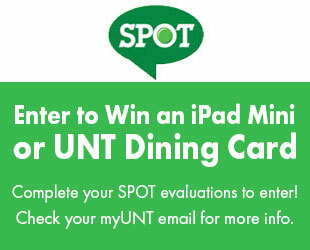 Leggett, who was unsure of costs, said she would consider partnering with UNT Engineering to design the project. Information on Leggett’s campaign and upcoming events can be found on her Facebook page Diana Leggett for Denton City Council. Denton businessman Jason Cole, 51, announced his candidacy for District 3 after filing with the city on Friday. Cole, who ran for District 3 in 2017, placed third with 18.84 percent of the vote in a three-way race against then-candidates Don Duff and Paul Meltzer, who now represents At Large Place 6. During Cole’s campaign for city council two years ago, he won precincts 4001 and 4038, placed second in precincts 4005 and 4007 and third in precinct 4003, despite gaining more votes in precincts he either won or placed second. Cole referred to his 2017 campaign experience as a “great opportunity” to better understand the issues impacting Denton residents. As a candidate in this year’s election, Cole’s platform calls for growth and density management, preserving Denton’s present tree canopy and advocating for small businesses. Cole said the city made his friend put a sprinkler system in their freezer. Another example, Cole said, were code enforcement regulations the city required at Beth Marie’s Ice Cream on the Square. To improve code enforcement regulations and reduce financial costs for businesses, Cole said he wants to reduce permit lag time so that everyone is open to business and not just the wealthy. Discussing Denton’s tree canopy, which averages 30 percent coverage – 22,450 acres out of 74,492 – Cole said he wants to preserve the present canopy without developmental disruption. Per the 2016 City of Denton Urban Forest Resource Assessment, the tree canopy serves various functions both economic and environmentally based. Economically, the structural value of Denton’s urban forest was $2.06 billion with an annual functional value of $7.2 million provided by an overall population of roughly 3.5 million trees. The return value of Denton’s tree canopy helps increase property values and reduce utility bills with an estimated reduction of $1.6 million in energy costs annually. Environmentally, the canopy assists carbon sequestration, which provides an annual functional value of $3.06 million through the removal of 23,000 tons of carbon per year. Likewise, the canopy also helps with the removal of 404.86 tons of air pollutants such as ozone, carbon monoxide, and nitrogen dioxide. Pollutant removal through the canopy is valued at $759,000 annually. Cole said preserving Denton’s tree canopy goes back to development and holding city council accountable. Cole, who serves on the Planning and Zoning Commission, said he believes the best tool at the City’s disposal is to control density. As growth continues over the next decade, Cole said the city should revisit Denton’s 2030 plan. Information on Cole’s campaign and upcoming events can be found at coleforcouncil.com. Candidates have until 5 p.m. on Feb. 15 to file for a place on the ballot. Elections for city council Districts 1-4 will be held May 4. Early voting will take place April 22-30. More information about registration deadlines, district and polling locations and different ways of voting in Denton County can be found at votedenton.com. Featured Image: A Denton City Council meeting in session. File. Editor’s note: This story has been updated to reflect updates that occurred to the District 3 voting precincts on Jan. 1, 2018.